I am an over-educated American of Northern European origin: three-quarters British and one-quarter Swedish.Ultimately, 100% Viking. 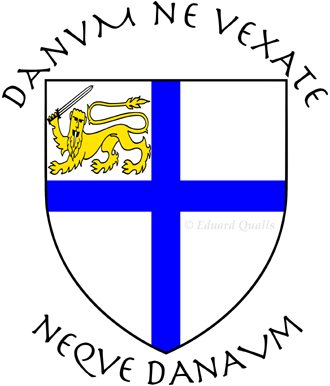 My family is first indicated in the Domesday Book of 1086 as being in Norfolk, the shire in which our eponymous hamlet still exists, bearing the name Quarles —a family name which evolved into Qualls during the 1800's. My [9× and 8×] great-grandfathers of English note were Sir John Quarles, Sir John Quarles (his son) and Sir Henry Billingsley, Lord Mayor of London (1596), father of the younger Sir John's wife, Elizabeth. The elder Sir John Quarles was a merchant active in trading with the Hanseatic League, and was known about London as John the Taylor. The younger Sir John was a founding member of the Second Virginia Company [more exactly: the Virginia Company of London], which financed the first successful English colony in North America, at Jamestown, in the colony of Virginia. [Sir John is on record as having been the one who proposed the price per share (£12 10s) to be paid to join in the venture.] The records we have located indicate that this younger Sir John and his household accompanied Lord de la Warr (first royal governor of Virginia), aboard the second ship to reach Jamestown, in 1610 (after its founding in 1607, and a full decade before the addlepated Pilgrims). Thus our family was one of the earliest, founding groups of the British New World—British America—which ultimately became the United States and Canada. from the Danish Viking invaders of East Anglia, “the Great Heathen Army”, of the late 800’s CE. This Helm/Helms line also includes two Colonial soldiers present at Prospect Hill on New Year’s Day, 1776, when George Washington is said to have raised the Grand Union flag upon assuming command of the Continental Army. College produced a degree in German and Music, and more French and Spanish. Along with German and Music, graduate school brought classes in Classical Greek, Chinese, and graduate-level Latin studies. Later, one of my employers paid half the cost of my being tutored in Japanese. Informally during the years post-graduate, I’ve studied (concentrating on grammar, history and morphology) Homeric Greek, Vedic Sanskrit, Anglo-Saxon, Gothic, Old Norse, Gaelic, Ancient Egyptian, Yiddish, Classical Hebrew, Arabic, Russian and Akkadian, with further research done into the scripts used by languages across the globe and throughout history. Having studied piano, organ, French horn, flute, oboe, violin and viola, I have had musical training that spans much of the orchestra, training which built on the ‘ear’ provided by early vocal and linguistic training: I can't remember an age at which I was not singing, or at least making some quasi-musical noise. a Master of Science degree in Business Administration from San Francisco State University. So, of course, I have spent my adult life as a computer programmer, in software design, project management and management, augmented (and often, restored to sanity) by writing and lecturing. My software career has been spent working primarily in C, C++ and C#, as well as in 16-bit, 32-bit and 64-bit Intel assembly language, at all levels of programming: from operating systems internals to device drivers to utility libraries to applications: if you have ever even just touched Windows™, you have run code that I designed and/or wrote. I have personally produced more than 80 Mb of shipping source code, primarily in operating systems, computer graphics and in data internationalization and nativization, with extensive work on optimization, multi-threading, interprocess communication, and user, process and file-level security. While accomplishing this, I have worked for some very good companies—Autodesk, IBM, Micrografx, Docucorp, to list only a few—and for others not so optimal. I am also a historian—Bronze Age, Ancient & Classical Period, Western European, and British—and a rationalist. You may expect more evidence of this as this site grows. As a vexillologist, I enjoy flags for their artwork, their histories and for their significance in human symbolism. All flags except my personal flag (the topmost banner) in this page's article are linked to their sources in Wikipedia and can be found there in their original (svg) formats. All copyright claims to those externally-sourced flag images reside with their original creators as documented on their respective pages within Wikimedia. 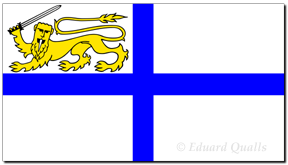 My personal flag is derived from my seal [Argent, a Cross Azure; in the first a Lion passant guardant Or, armed Or and langued Argent, striking with a Sword Argent in the dexter forepaw, hilt pomel and quillons Sable]. 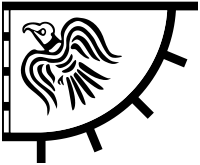 Flag and seal (with or without the motto), and any other design derived from those, are my personal property and none may be reproduced without my written permission. The symbolism and the motto are explained on the Flag and Seal page. Better one hour of freedom than forty years of slavery and prison.